Meaford is located within the Southern Georgian Bay Region and is a beautiful fourseason destination. The ski hills of the Blue Mountains are just minutes away. Meaford is home to Meaford Hall, the premier arts and cultural centre in Southern Georgian Bay. Newly restored after nearly a century, the Hall is a four-season venue which hosts a wide variety events. For outdoor enthusiasts, Meaford offers camping, sport fishing, golfing, bird watching and so much more. Hike or bike along the extensive trail system including the Georgian Trial, Bruce Trail and John Muir “Trout Hollow” Trail. Many festivals include the Apple Harvest Craft Show and the “Scarecrow Invasion”. 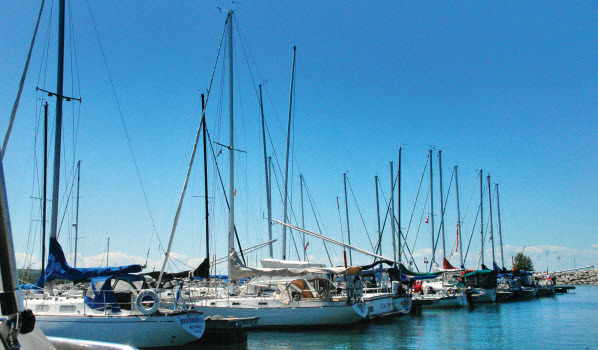 The picturesque waterfront harbour and access to the Beaver River creates opportunities for swimming, boating and fishing. Come and enjoy of the community. 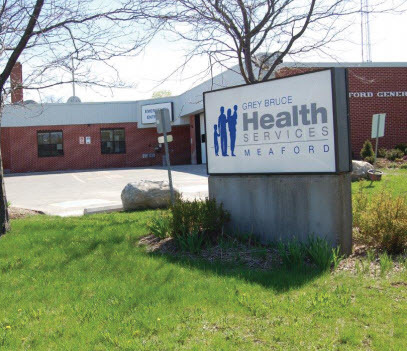 Grey Bruce Health Services – Meaford Site is a busy, well equipped hospital with 24 hour emergency care, an operating room and 20 inpatient beds. The Emergency Room is staffed 24/7 by area Family Physicians, and has approximately 10,000 annual visits. The hospital also runs Outpatient Clinics for a variety of procedures. North East Grey Health Clinics opened a community medical health centre in Thornbury with four family physicians and a physio clinic, and is opening a second medical centre in Meaford in August 2014 which will offer a turnkey operation to new physicians.